Car Seat Headrest announced on Tuesday they’ll be touring through North America as part of an extensive world tour. 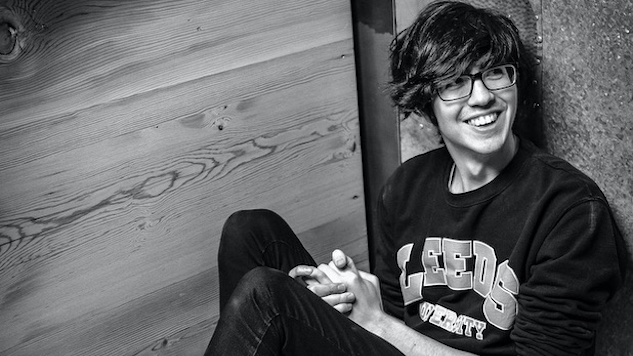 The tour is in support of Car Seat Headrest frontman Will Toledo’s new re-imagining of his 2011 Bandcamp album Twin Fantasy. The reworked Twin Fantasy, released in February, followed the band’s Matador Records debut album, Teens of Denial, released in 2016. Toledo is now giving his deeply personal album a proper tour, recently adding fall shows to his band’s already-extensive schedule. Previously announced dates take the band through Europe and the U.K., with summer stops on the U.S. West Coast. The now-confirmed fall leg of the band’s North American tour kicks off Sept. 5 in Minneapolis and extends until a Sept. 27 stop in St. Louis. The band will play in cities throughout the U.S. and Canada, including two back-to-back shows at New York’s Brooklyn Steel. Car Seat Headrest’s live show set-up now includes an “electrifying” seven-piece band, per a press release, featuring members of Naked Giants. You can find the band’s full tour dates down below. Twin Fantasy is out now via Matador. You can stream the album in its entirety right here and purchase the album through Matador’s website.